MVC600M - MA, MVC - Hydraulic Feed Controls - Motion Control - Products - ACE Controls Inc. Many application options: the hydraulic feed controls in models MA and MVC are similar to that of the VC model. 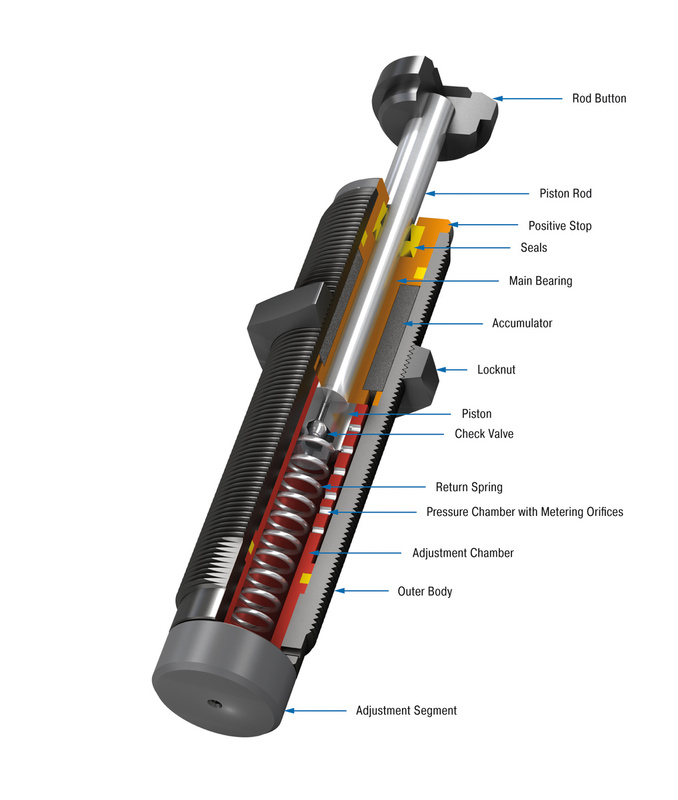 However, these hydraulic controls have been designed for applications that require less precision. There are also plenty of accessories for the MA and MVC models. All products are ready-to-install, maintenance-free, stable in temperature and avoid stick-slip effect. Speeds from 0.47"/min. (12 mm/min.) 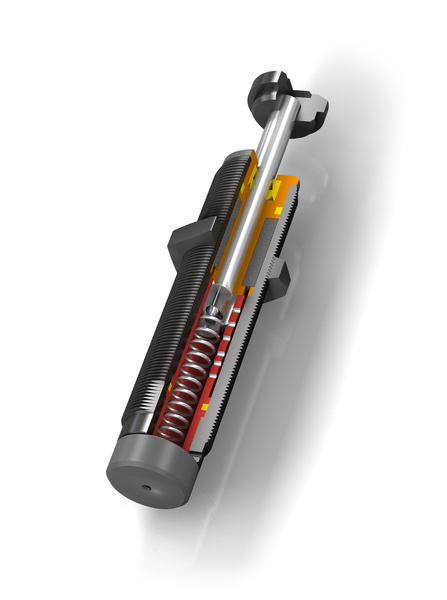 can be driven at a low thrust force using the adjustment screw on the base of the hydraulic control. Impact velocity range At speeds of 0.98 ft/sec the maximum allowed energy is approx. 17.70 in-lbs. Where higher energies occur use a shock absorber for the initial impact. Avoid high impact velocities. Adjustment Hard impact at the start of stroke, adjust the ring towards 9 or PLUS. Hard impact at the end of stroke, adjust the ring towards 0 or MINUS. Damper is preset at delivery in a neutral position between hard and soft. External materials in the surrounding area can attack the seal components and lead to a shorter service life. Please contact ACE for appropriate solution suggestions. Nickel-plated, weartec finish (seawater resistant) or other special options available on request.